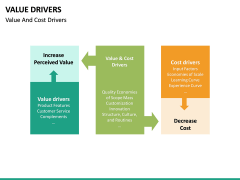 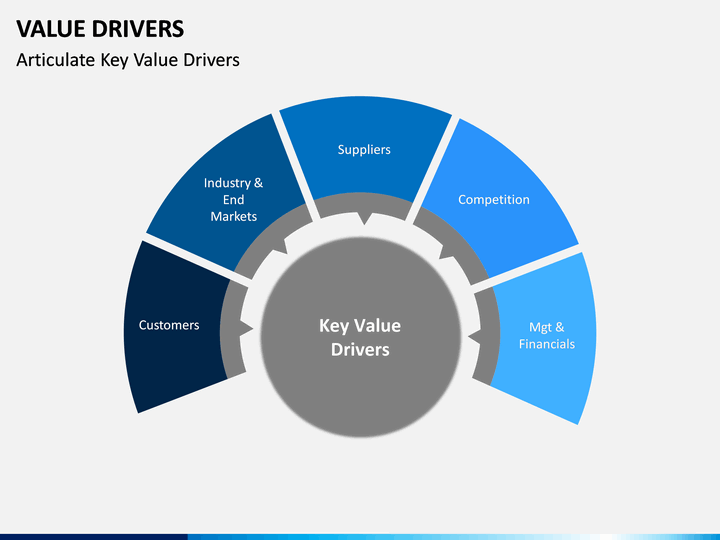 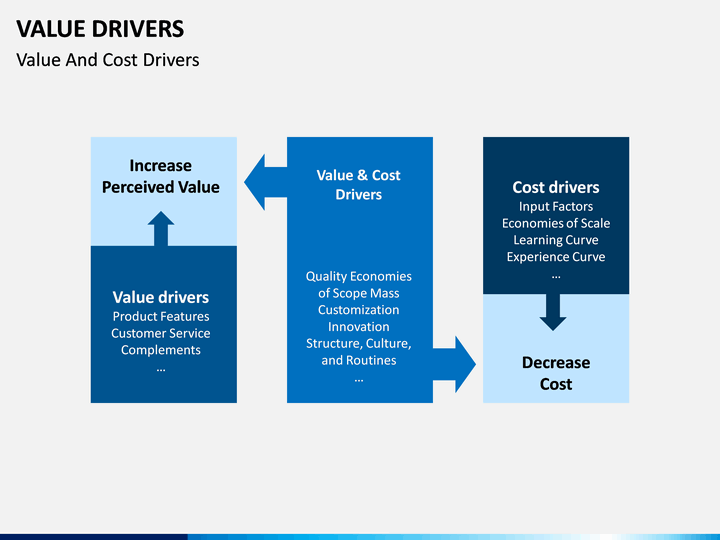 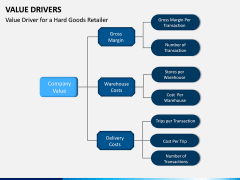 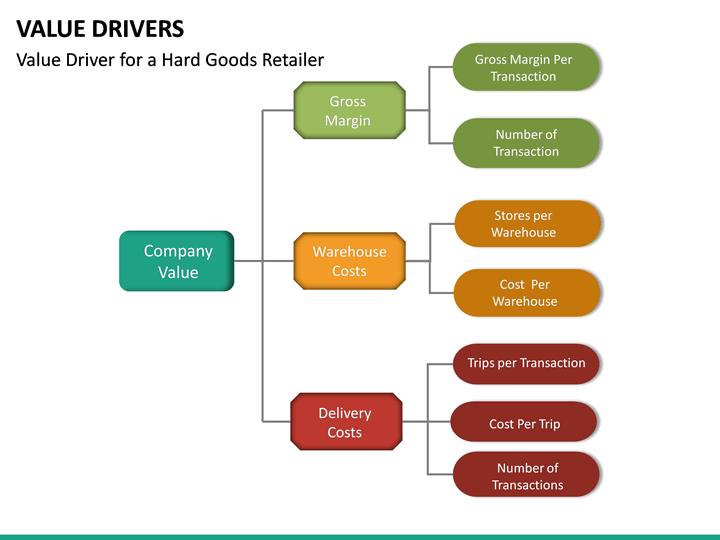 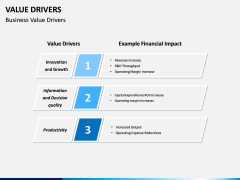 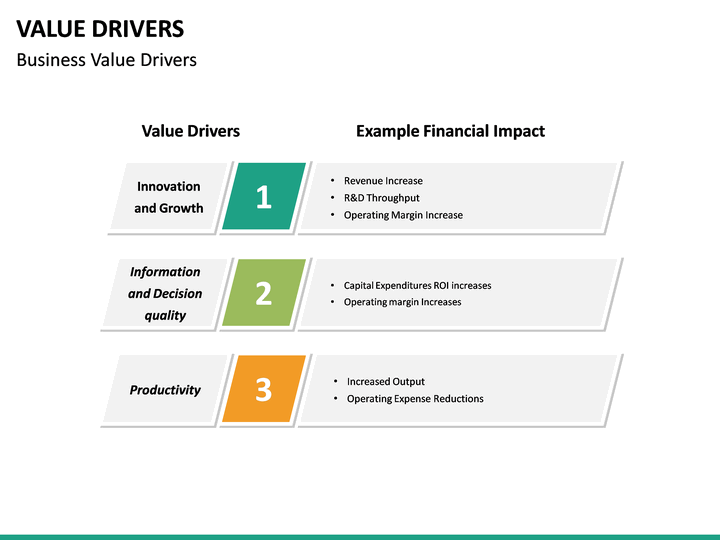 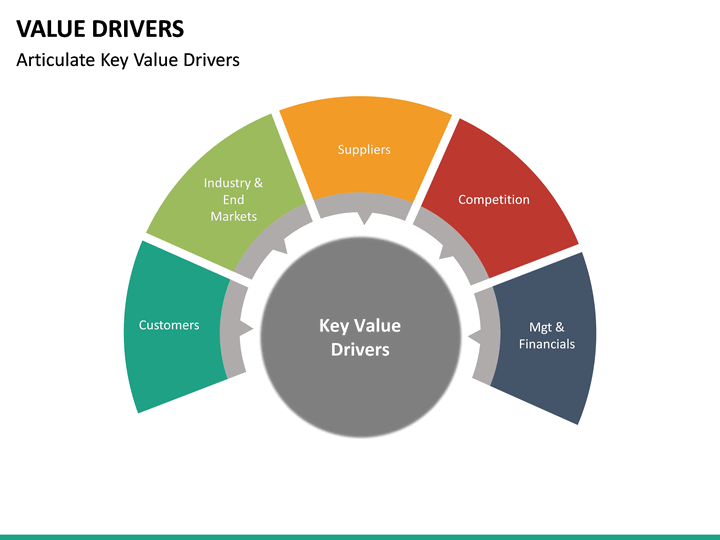 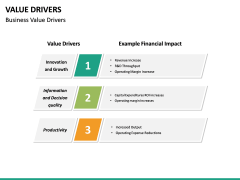 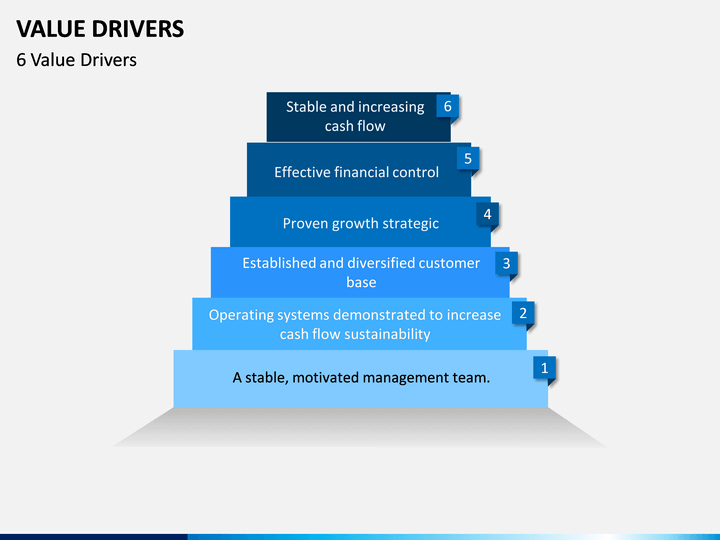 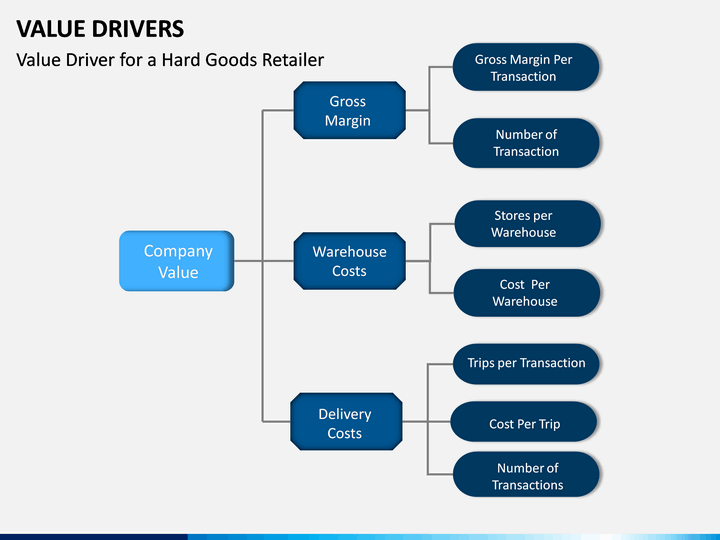 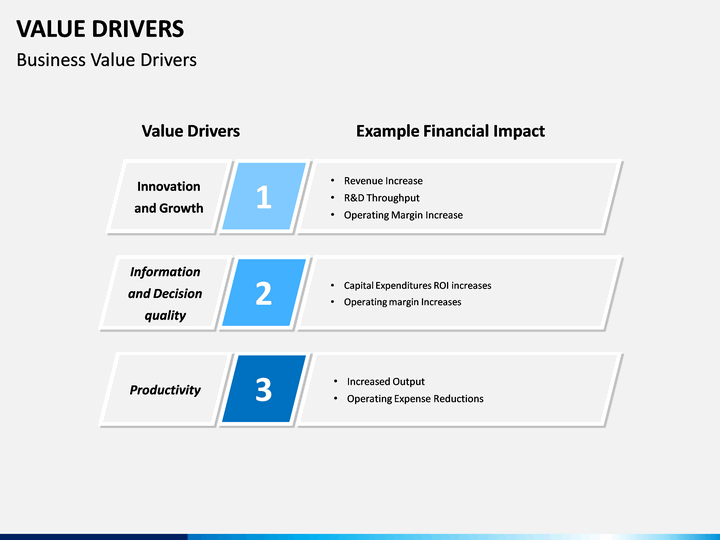 Save your time while drafting an informative PowerPoint presentation on Value Drivers. 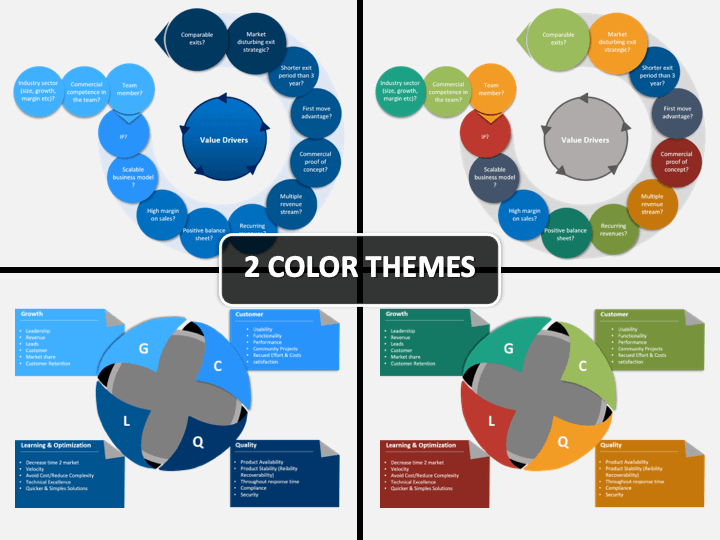 Having high-quality vectors, the template comes in different color themes. 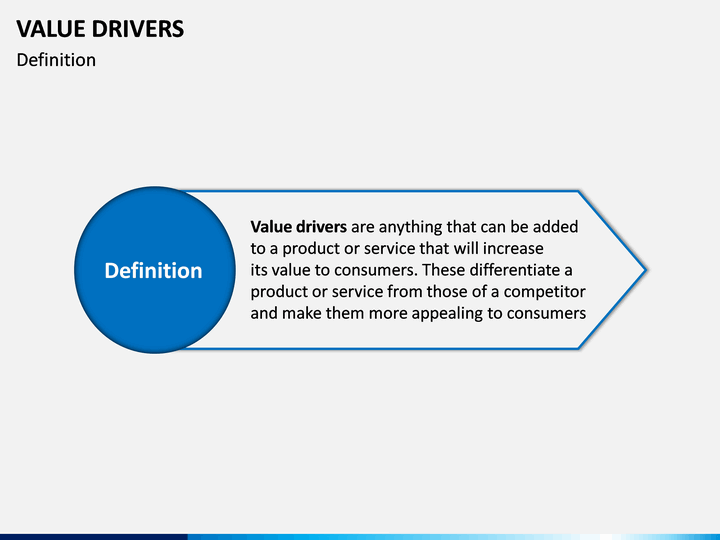 No thanks continue to checkout Value Drivers Template . 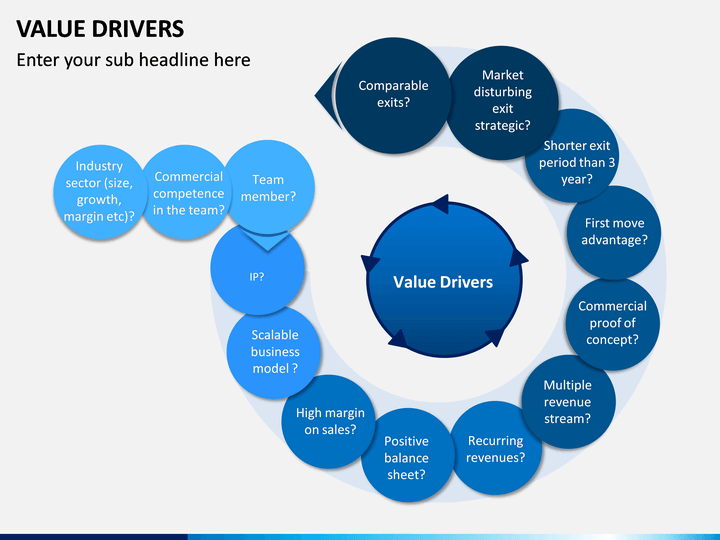 Having the best visual aids, this highly informative and vector-based PowerPoint template on Value Drivers will certainly come handy to you on numerous occasions. 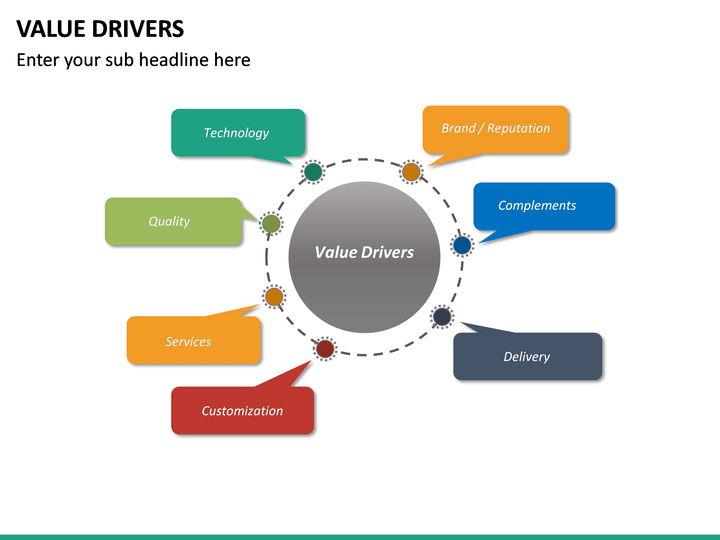 Simply download it once and use it as per your needs to draft impressive slideshows for your audience. The set features various kinds of graphics related to the topic that you can readily use. Since these PPT slides are entirely editable, you can easily customize them with a few clicks. 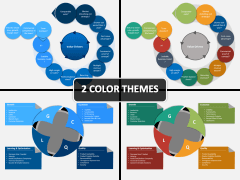 The set is compatible with Apple Keynote and Google Slides apart from PowerPoint as well. 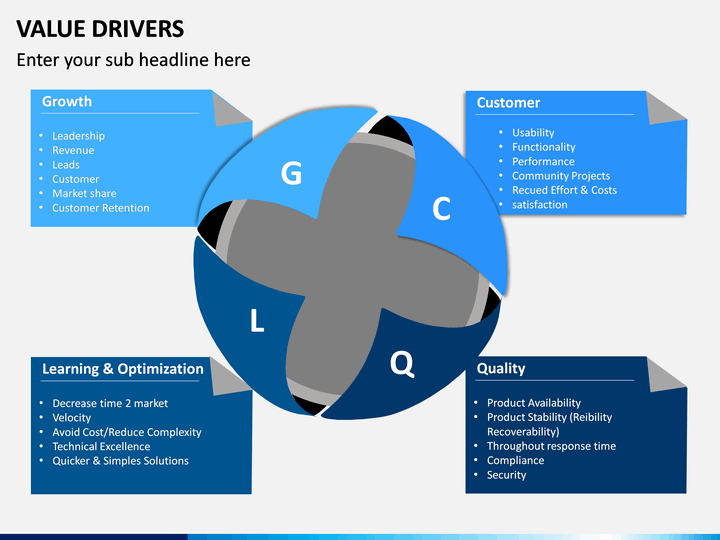 It comes with a dedicated customer support so that you can make the most of it in less time. The editable presentation includes all kinds of illustrations about the topic that you can readily use. To start with, you can simply provide the basic definition of Value Drivers and distinguish them from value detractors. 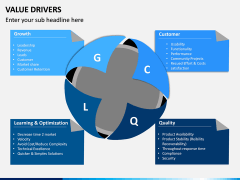 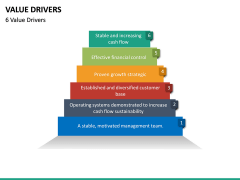 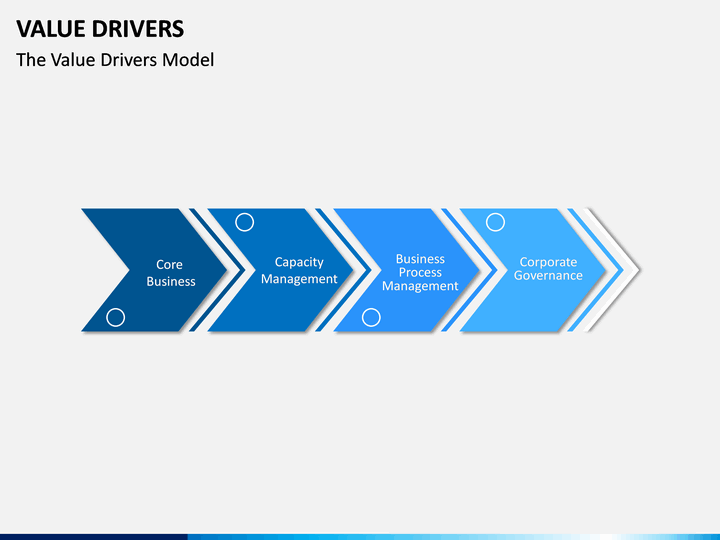 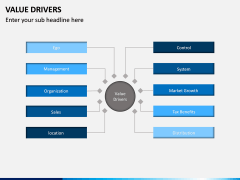 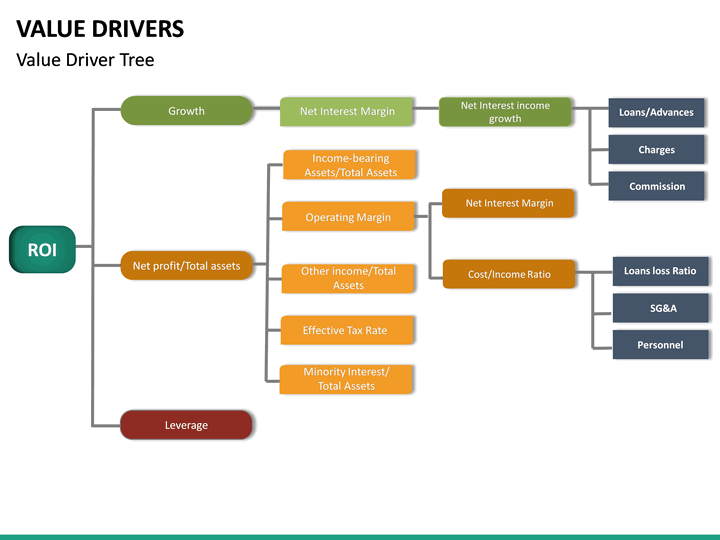 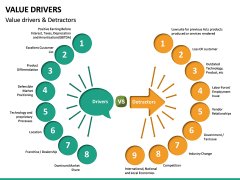 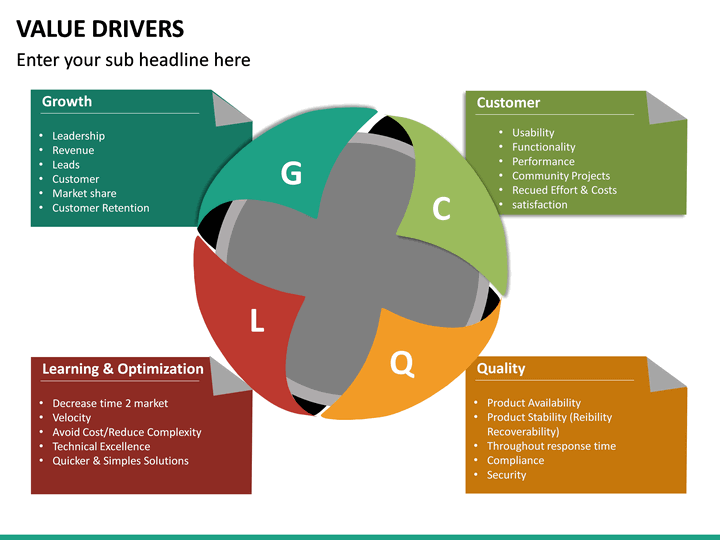 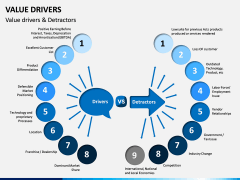 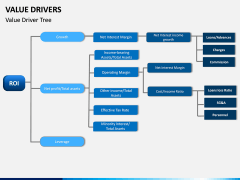 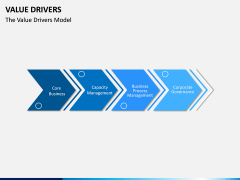 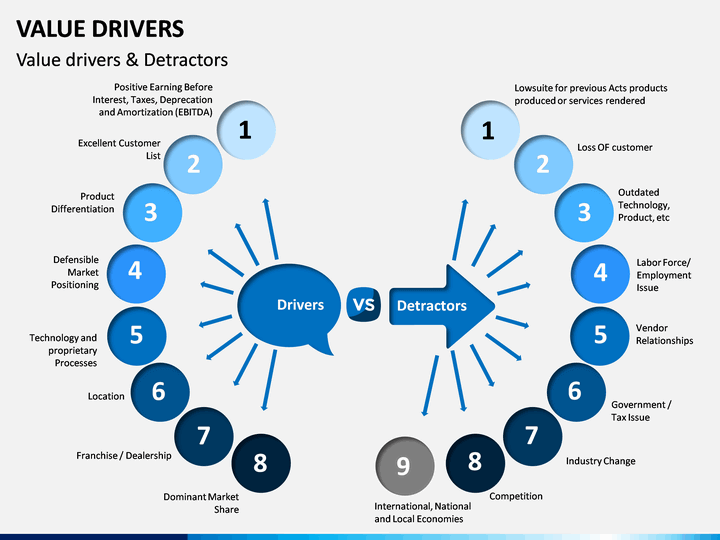 With these illustrations, you can educate your audience about the focus drivers, their related domains, its overall model, how they are connected to growth, customers, costing, and so on. Ideally, They indicate any parameter or characteristic which can be added to a product/service to make it more desirable and increase its demand in the market. 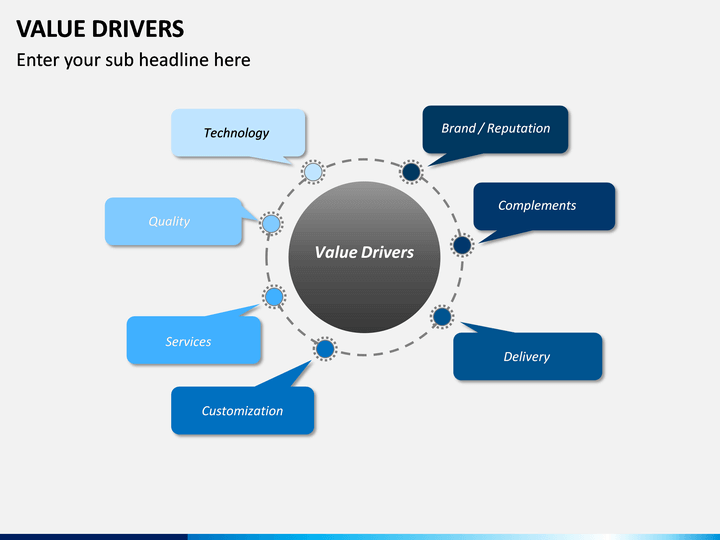 These added values also make a product standout in the market and let it outperform its competitors. 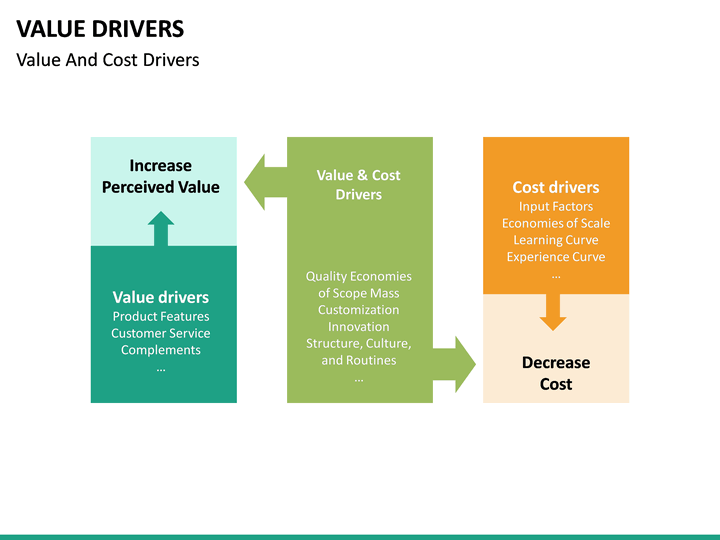 Besides retail and marketing, value drivers can also be implemented in a business as well. 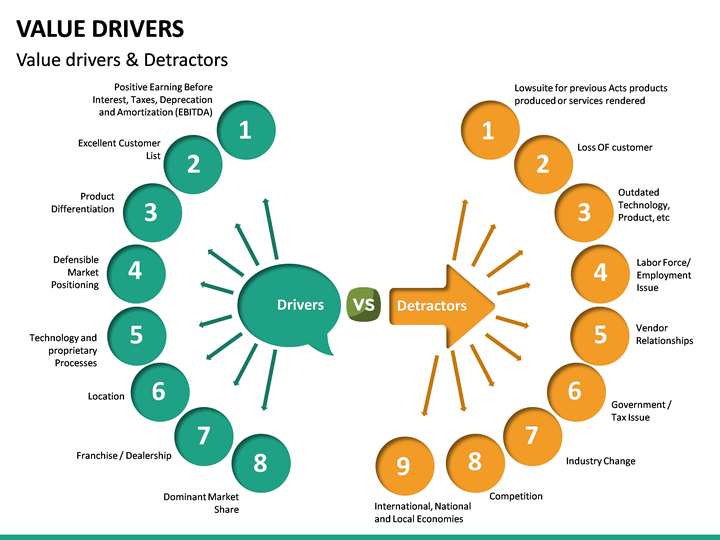 Since the topic is quite diverse, professionals belonging to different domains can use it. If you are related to retail, marketing, business strategy, or any other related subject, then you should certainly download this template. 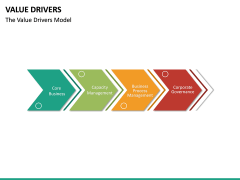 It would be of a great help to educators, subject matter experts, trainers, managers, team leads, consultants, and everyone else who wants to draft an informative slideshow on this topic. 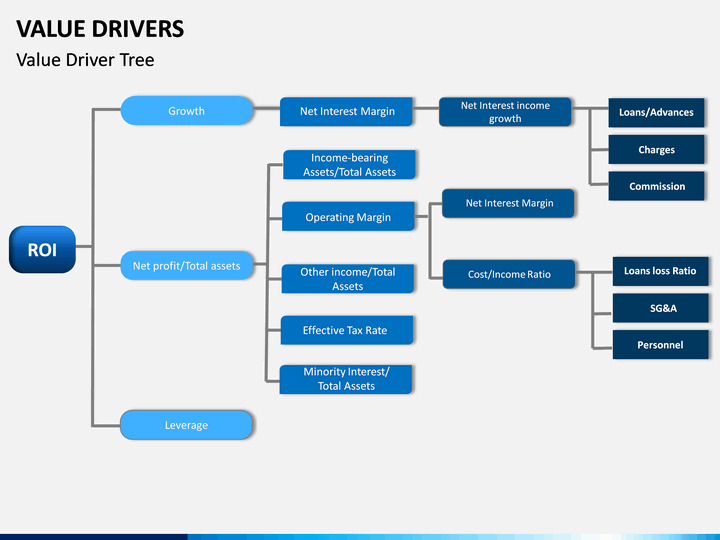 This is a highly informative template. 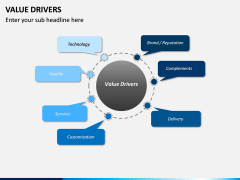 If you want, you can readily use it or simply clip out any illustration of your choice as well. It is compatible with PowerPoint, Keynote, and Google Slides. 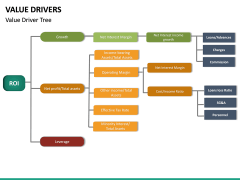 Also, it comes in different color themes and aspect ratios. 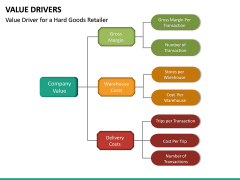 You can easily customize it in minutes and give it your personal touch. It will help you win over your audience for sure without investing your time or efforts.